In our app, we give you the option to include relevant, useful ads to help you reduce the cost of your app. 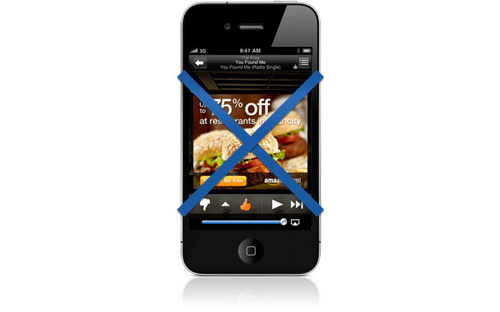 To do this, we start with a crazy idea: ads should improve the app experience of your users. If your alumnae reads about “auto insurance,” she might appreciate learning about an auto insurance discount available to her. 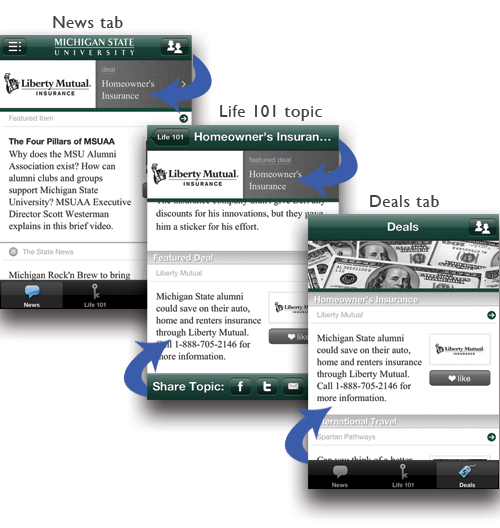 Search for “MSU Crib Sheet” in any app store to see ad examples in an app. To help you easily reduce the cost of your app through ads, we’ve partnered with some of the country’s top affinity partners as app “sponsors” (e.g. Liberty Mutual). And you can even send automated emails to your advertisers showing statistics and more. Alumni appreciate these limited and relevant ads in their app because they provide real value when reading about a given topic. Take advantage of the financial benefits of ads with little effort (a sponsor discount) and/or a little hustle (sell ad space). You never know, you could even get paid to provide this valuable app to your alumni.